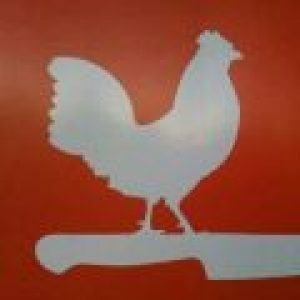 They keep coming: Another tiny chef-driven eatery serving inspired creations in an intimate setting. PUFFER’S OF PISMO is the brainchild of the inimitable Charlie Puffer and his conversion of a former–and completely forgettable–winebar into a speakeasy-sort of indoor-outdoor night-spot is complete. I have been watching and waiting for him to get completely dialed-in with regular hours and a menu firmly in place before trying. And oh boy was it worth the wait. Open 3-10 most days, but flexible depending on the *vibe* of the evening, they also are a full wine-shop, and of course cater events and parties. For those of you who remember enjoying the old Granada in SLO–one of MY favorite restaurants of all time in the area–this hits hard in that *speakeasy* sort-of direction. A curt menu covering a good range of areas, a deep, well-thought-out winelist poking around the interesting edges of local wineries and exciting imports, and a calendar packed with quality local live music and art make this quite possibly the most exciting local night-spot of the decade. And the best part? They’re open late! I eat dinner at 8 or 9 in the evening and living here on the Central Coast makes for some adjustments of that schedule. Rarely do you find a kitchen open past 9 during the week. On my visit, it was well past 9:30 and the wine was flowing, the music playing and the kitchen churning out food. Wonderful food. 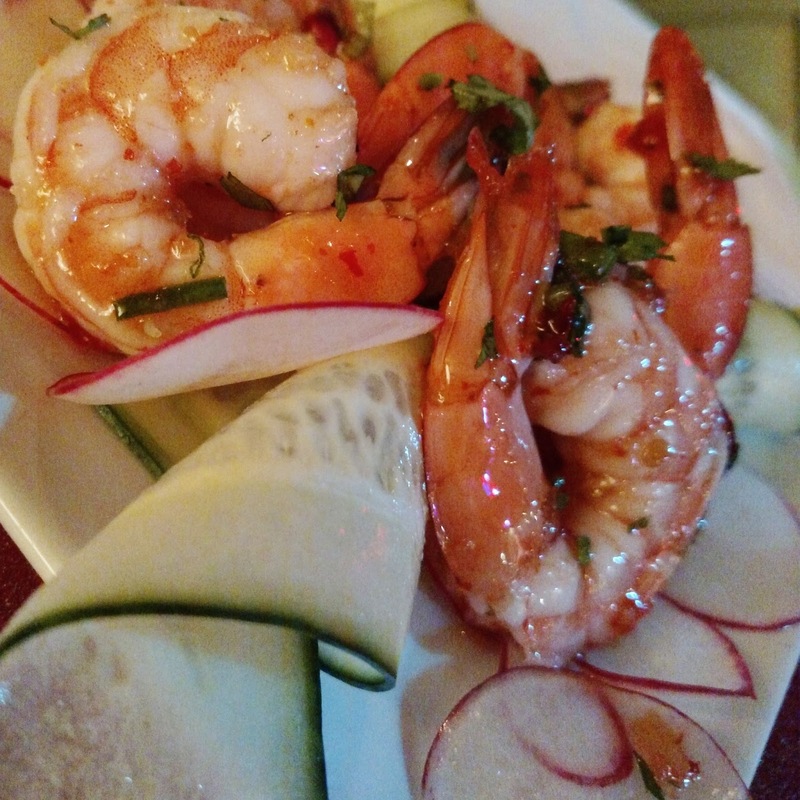 A small plate of shrimp quickly arrived, on a bed of vegetables that had visited a mandolin and covered in a light rice-wine glaze. I could eat this all night. There’s a couple things which show up on a menu now and then I will automatically order no matter what. Carpaccio at an Italian resty… Sturgeon in a fish-house… Venison or boar in a steakhouse… Canard ANYWHERE… and PÂTÉ!!! 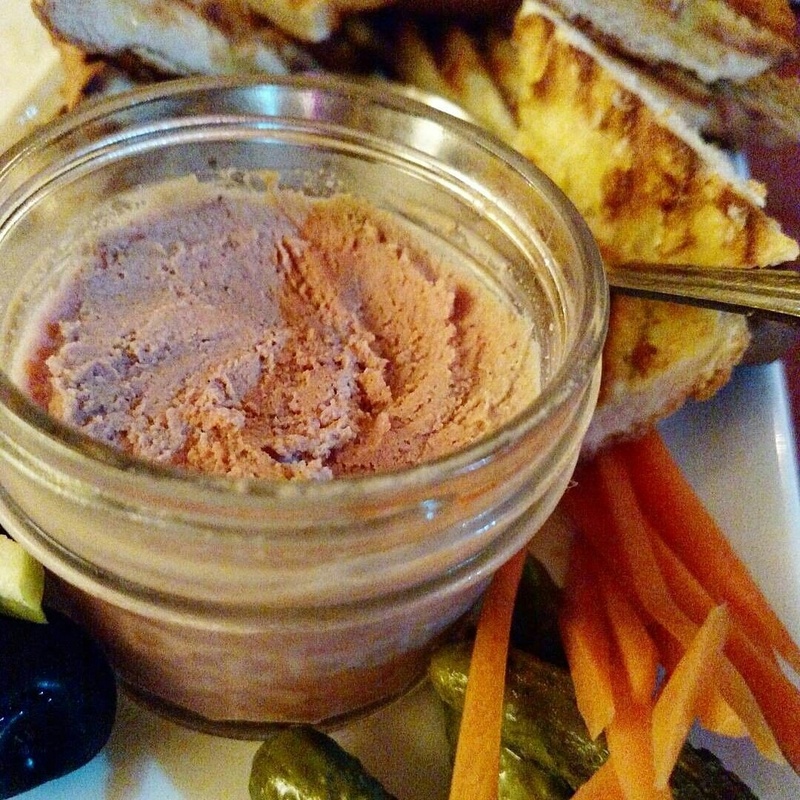 House-made liver pâté shows up on a menu–fine OR country–and I am all over it. But almost the most important part of pâté is the toasts. Bring me those little slices of zwieback or mouth-shredding crisps and suddenly your spreadable creation is not so enticing. But run quality bread through a panini-press: perfectly golden on the outside and moist and flavorful on the inside, and suddenly you have the best companion for ANY charcuterie or terrine offering. I had been hearing stories of Charlie’s sous-vide Cubano, and while I am firmly on record as not eating sandwiches for dinner, I made an exception in Puffer’s case. Holy WOW are you KIDDING ME. 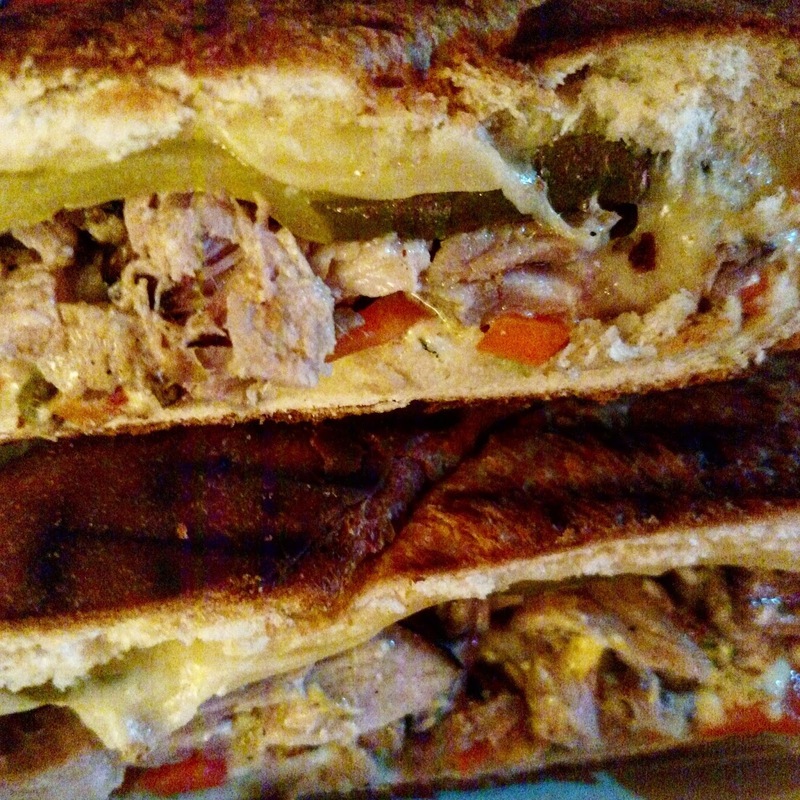 Say what you want about the Cubano being *over* this thing is a MASTERPIECE. Far and away the best version on the Central Coast, and–in typical Cubano fashion–it is hard to pinpoint exactly which item pushes it over the top. Complicated food assemblies such as this rely on everything working together. Have you had Cubanos that were too spicy? How about where the pickles dominate? Cheese too strong? Emphasis on fat layers of perfectly grilled bread? A chef so proud of the meat he makes it the center-point? We’ve ALL had those Cubanos, and Puffers’ is NONE of that. Bread a lil dark, but that darkness is a paper-thin crust that explodes into crumbs, exposing flaky, doughy goodness underneath. Meat bright and light–delicate even–and woven into the creamy, mild white cheese. House-made pickles–perfect al dente carrots and cucumbers–pull gently out with each bite, providing seamless sharp backup. This little two-man shop is an exciting addition to Pismo Beach and not only am I already planning my next visit, am seeing this as a perfect place to close down for a private party. Get down there before everybody finds out about it.